For patients considering undergoing a nose job in Charlotte, I wanted to create a one-stop webpage for the beginner to obtain key information. I believe patients should be as educated as possible before undergoing the procedure. 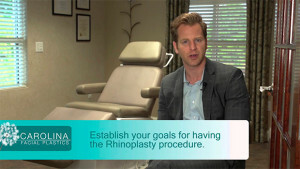 All patients have different reasons for undergoing a nose job or a rhinoplasty. I would first assess if you have problems breathing through your nose. If so, I would suggest that you choose a surgeon that will be able to improve your nasal breathing. Next, I would identify the aesthetic or cosmetic concerns. I would think about which concerns are most important to improve and identify others that many not be as important. I would search the web and do some reading about nose jobs. My website has some great information about the procedure, but there are many other great websites. A popular question and answer website is Realself.com. People are busy and must schedule their lives appropriately to have time to undergo surgery. I would find a time that a patient has a week or 2 to dedicate themselves to recover from surgery. I would schedule a consultation 2-3 months out from your anticipated surgery date. This will give you the best chance of having the date you want for surgery. If a patient wants surgery during a busy time for facial plastic surgeons (before spring break, before Thanksgiving, over the summer, during the holidays) I would schedule a consultation earlier. You will want to have a friend or family member with you for at least the first night after surgery. Nose jobs in Charlotte cost between 7500-18000 dollars depending on a variety of factors. The payment is due before surgery. If a patient does not have this money available, they may want to consider an alternate payment option. Care credit is a popular payment system used by many facial plastic surgeons. After you have defined your goals and done your homework regarding a nose job, it is now time to discuss your concerns with a rhinoplasty expert. I would identify the good nose job surgeons in or near your city. I would ask friends or family or look at online reviews of surgeons. Additionally, I would look at the background of the surgeon to see if they are a nose job expert or does the surgeon do all types of plastic surgery. I would pick 2 or 3 surgeons and schedule consultations. I believe a few opinions will allow a patient to have more information to make the best-educated decision. After completing the above steps, it is now time to choose your doctor and schedule the date. From this point forward you should expect to have a pre-operation appointment with your facial plastic surgeon to go over the surgery process in detail. At this appointment, ask all of your questions. I hope you found this article as a useful guide to start your process to undergoing a nose job in Charlotte. Next, read about Nasal Obstruction Surgery.